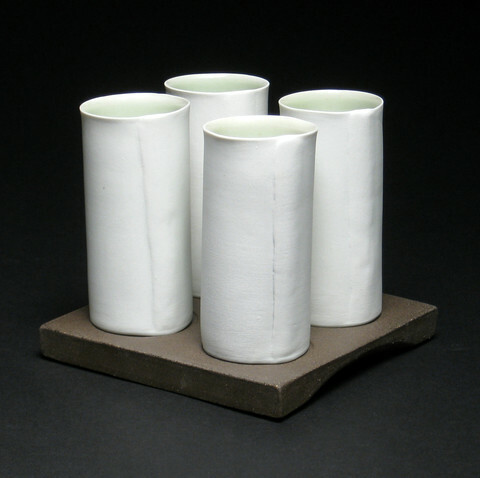 Baltimore Clayworks is proud to present wood-fired, functional ceramic work by Jeremy Wallace in the Main Gallery. TORN AND UNREFINED is the culmination of Wallace's year in the Baltimore Clayworks' studio as our Lormina Salter Fellowship Artist. 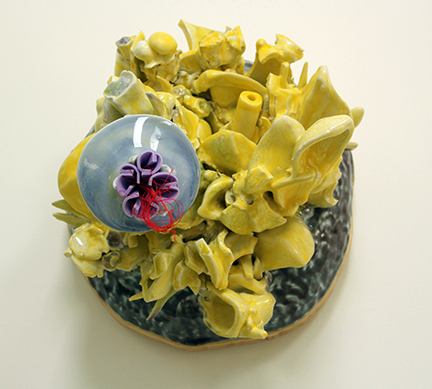 Organic slip-cast elements are assembled with additional mixed media of synthetic, manmade materials such as vinyl, rubber and foam created by Susan Beiner will be on display in the Solo Gallery. Showing in the project space will be Missy Steele's, MILDLY OFFENSIVE. A Pozefsky Fellowship exhibition of sgraffito and mishima vessels brandishing imagery from dreams, memories and social contexts on bold colored backgrounds. Our 35th Birthday Campaign Ends Soon - Please Make a Gift! Our celebratory campaign, $35,000 in 35 Days ends on FRIDAY, JULY 10. 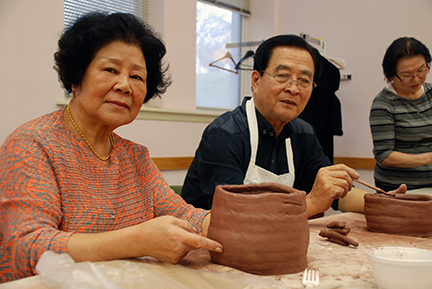 Give your gift of $35 or more and help us meet our goal! 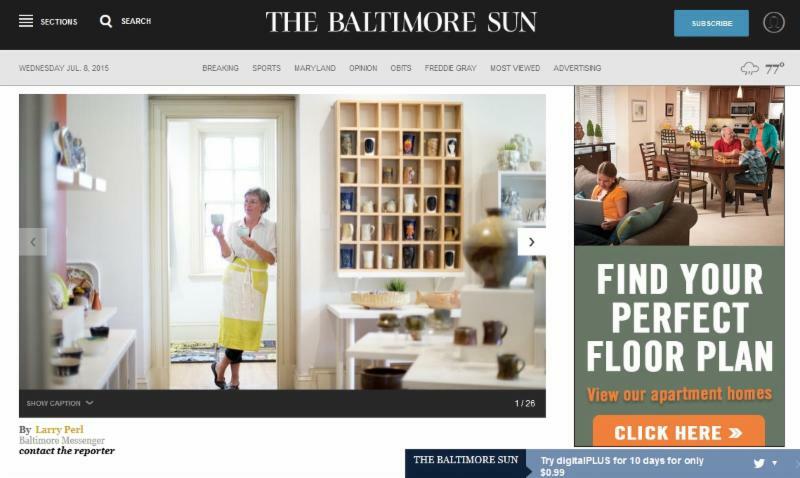 In honor of Baltimore Clayworks' 35th anniversary, Larry Perl of Baltimore Sun wrote an interview with Clayworks' co-founder Marlene Sokoloski Sandler in this week's Baltimore Messenger. Click here to read this delightful article! 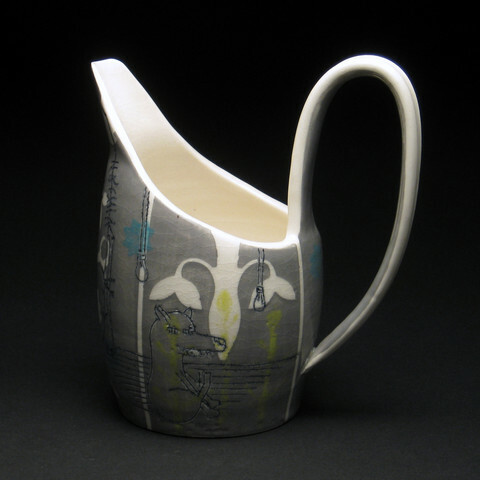 PEGGY FOWLER was a resident artist at Baltimore Clayworks (2007-2011) and established her own studio at home. Her small scale sculptural vessels are inspired by her observations of nature found in the Maryland landscape, her garden and the local farmer's market. 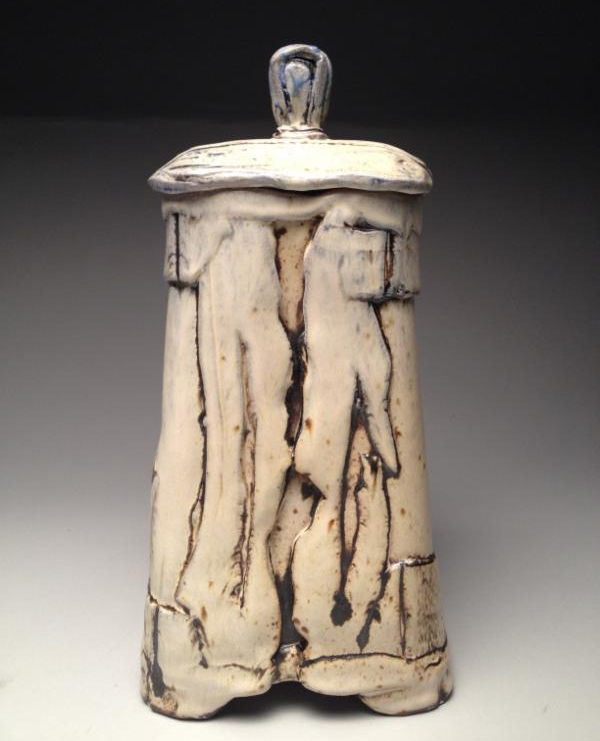 Her work has been featured in regional and national exhibitions and she recently received a purchase award in the 2008 International Orton Cone Box Show hosted by Baker University in Baldwin, KS. Click here to see more of her work. 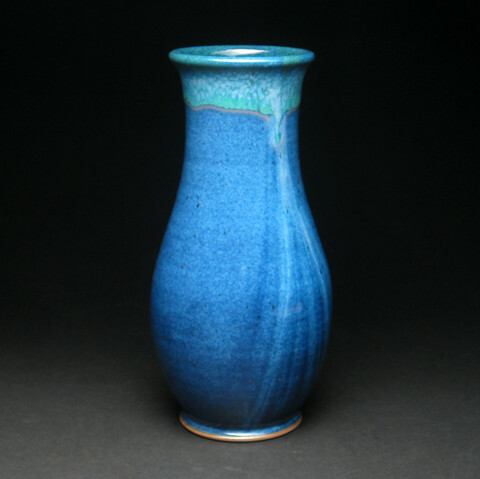 SONYA MEEKER was a resident artist at Baltimore Clayworks. 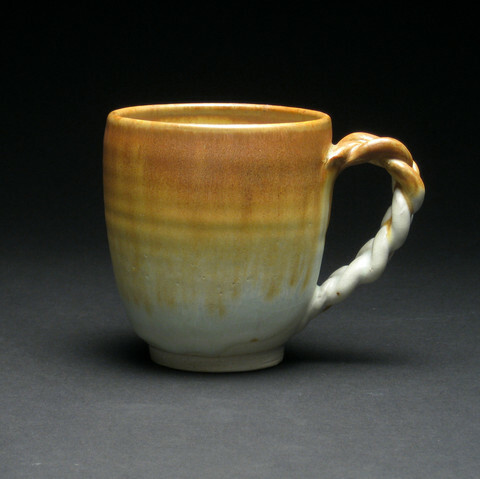 She began her clay career first as a student in the Clayworks classrooms in 1996, and over the years she has pushed and refined her delicate stoneware and porcelain while continuing to explore and expand her glaze vocabulary. Click here to view more. MISSY STEELE is our 2014-2015 Margie and Tom Pozefsky Fellowship artist. This new fellowship opportunity (created in 2014) provides an artist: a studio, materials/living stipend, mentor and international travel for workshops. 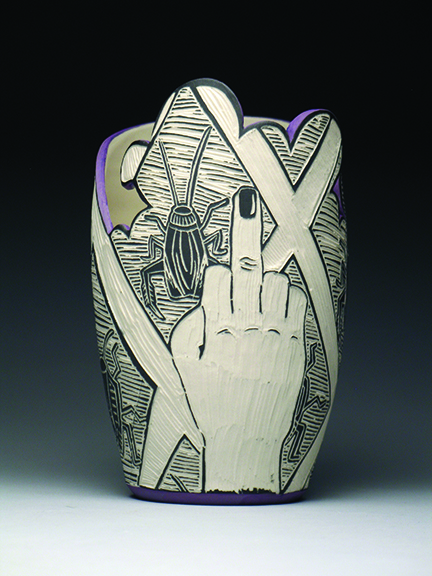 Missy completed a BFA in Ceramics from Carlow University in Pittsburgh, PA. Steele's functional ceramics emphasize and celebrate function while providing a canvas for whimsical, humorous and despairingly dark carving based on observed social behavior. Click here to see more of her work. SAM WALLACE is a traditional Jamaican potter who became a resident artist and the facility/kiln manager for Baltimore Clayworks in 1993. 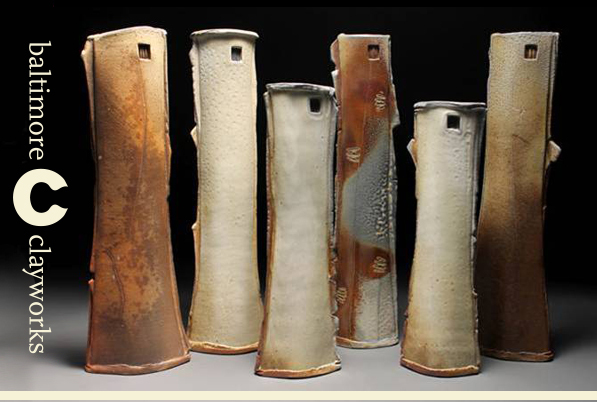 His work has been featured in numerous regional and national exhibitions as well as being a demonstrator for the 1995 National Council on Education in the Ceramic Arts conference. Click here to view his work on our web store. 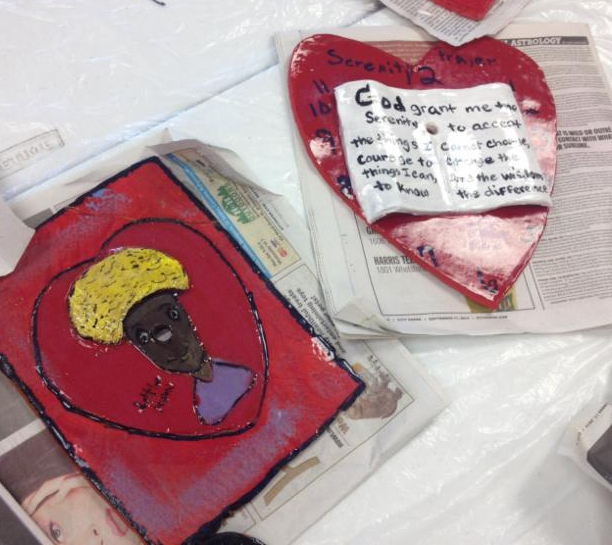 5707 SMITH AVENUE MON-FRI 10AM-5PM, SAT-SUN 12-5PM BALTIMORE MARYLAND 21209 DONATE TODAY!